Don’t miss out on important information from our School Counselor, Mrs. Gilbert, in the Counselor’s Quarterly October 2015 Newsletter. 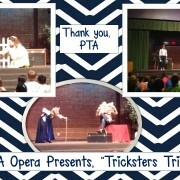 DJ Montague students enjoyed a performance by the VA Opera today. 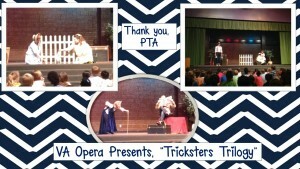 Thank you to our wonderful PTA for providing the fabulous experience today! Students laughed, learned lessons, and enjoyed a wonderful theatrical experience. Ask your child about all the tricksters today! https://wjccschools.org/djm/wp-content/uploads/sites/15/2015/10/Slide11.jpg 720 1280 Amy Mabe https://wjccschools.org/djm/wp-content/uploads/sites/15/2014/05/logo.png Amy Mabe2015-10-13 15:38:262015-10-13 15:38:26VA Opera Presents, "Tricksters Trilogy"